Marks Gate | A Local Dialogue | When was the last time...? When was the last time that you drew a fish? That’s Sadia in a moment of reflection. I had no time to imagine, I confessed. Things moved really fast after I was offered the position of Assistant Artist. This is sort of a career change for me, you see. I was dealing with my own progression while painting chairs and applying wallpaper. And from the first weeks I just remember being exhausted all the time. Of course, things would have been a lot harder without the help of those incredible residents that got involved in the transformation phase. 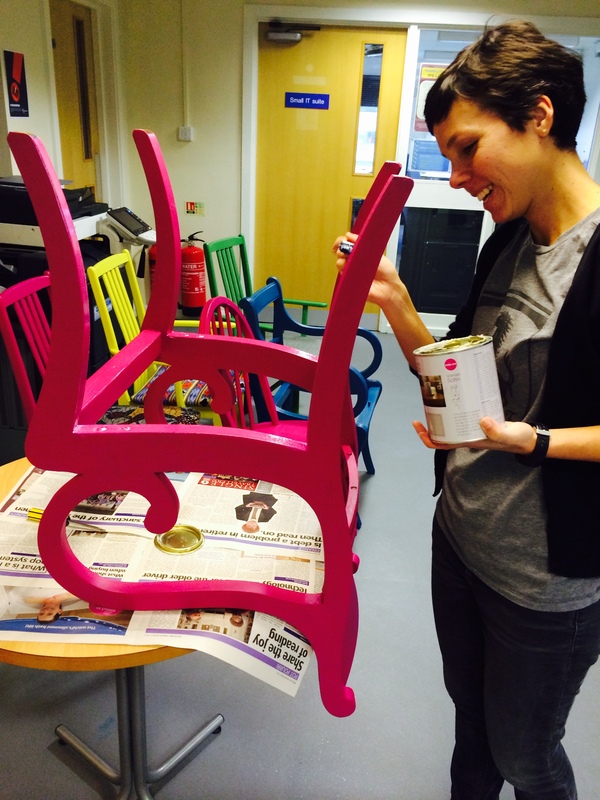 Then one day, we finally launched the Creative Cafe and started running the workshops. So far, we have sold (and eaten – strictly for quality control measures) dozens of yummy cakes and made some pompons, painted some tiles, we learnt how to French knit and make candles in a teacup. 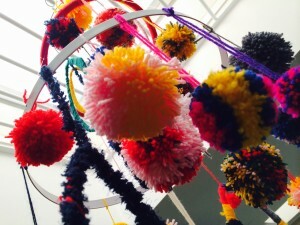 Let me tell you, those pompons require a lot of patience so congratulations to those who made it til the end! But let me tell you something else, you can learn all of those things and more from the comfort of your home, from a book or a Youtube video. Nowadays you can find everything and anything online. So, what is the point of a Creative Cafe? Why bother? 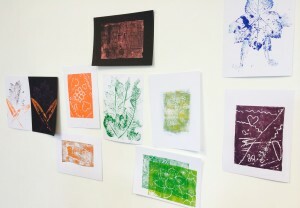 Well, just the other day, we ran a printmaking workshop and towards the end of it, two teenage girls arrived. Children aren’t allowed in the Cafe without parents or guardians, you see, so they had to drag their mum along. 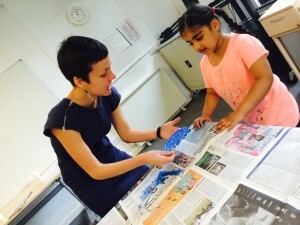 I gave them my introductory spiel – first they were to draw something nature inspired on a Styrofoam sheet to then make the print – and the girls got on with it, while their mum started asking me why she had to be there. As I explained about health and safety issues, I asked her if she would like to have a go. First she gave the usual polite parent response (“no, thank you”) but almost immediately, she changed her mind: “OK, I want to draw. I want to draw a Tilapia, I love fish”. She hadn’t drawn for 30 years. Her words, not mine. There it is. Right there. This is why, I think, we are doing what we are doing. 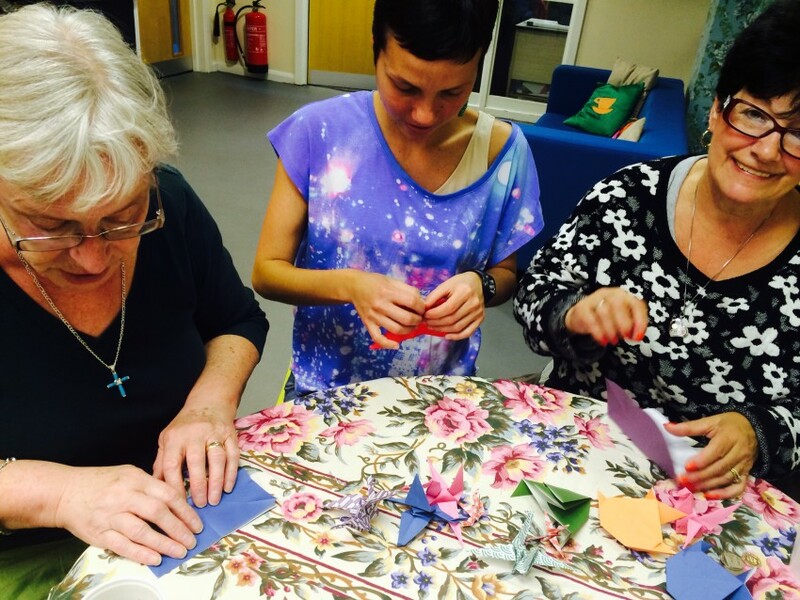 The Creative Cafe is hopefully a friendly platform where people can do something that they haven’t done for ages or something completely new, share skills, stimulate minds and connect them to their almost-forgotten hands… while having a cup of tea, a delicious slice of cake and a good laugh! As adults, we forget, don’t we? When was the last time that you drew a fish?